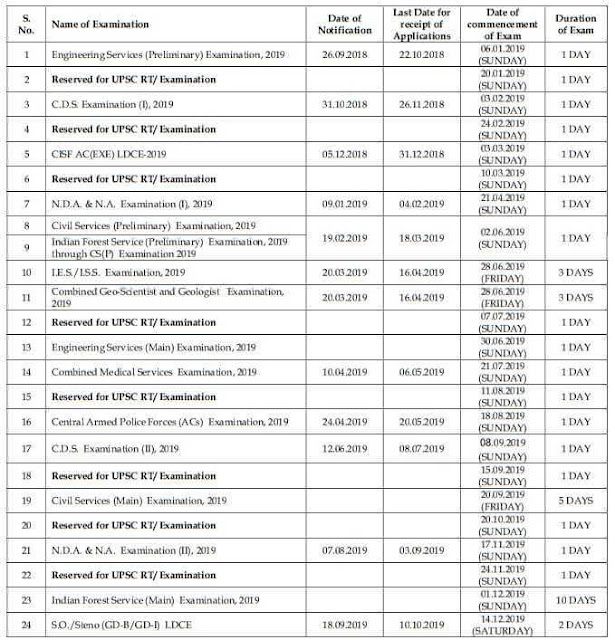 Today UPSC Published a PDF File on their website related to the UPSC Exam calender's 2019. UPSC Explained all examination dates in this PDF file. We are sharing the Image below as well as we also share the PDF file at the Last of this article. Start Preparing Now.